Digital surrogates from the Football Programs, include digitized copies from the 1913 and 1914 homecoming football programs. 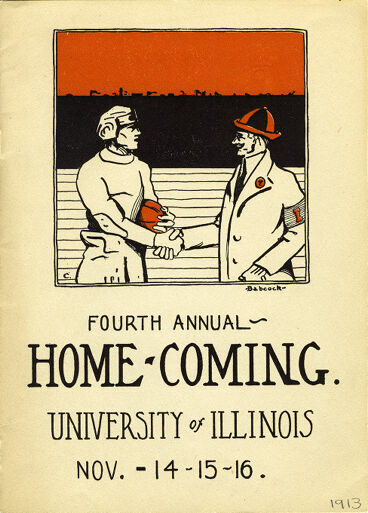 The 1914 program is the Homecoming game between Chicago and Illinois, at Memorial Stadium in Champaign, and details Homecoming activities during the weekend of November 13-15, 1914. The original program can be found in RS 28/5/811, Box 1, 1914.